It’s a huge challenge for me – the challenge of developing a ‘sleeping giant’ into a powerful force. I’ll be following Rob Baan’s philosophy and this gives me an opportunity to work for an elite level. Where have your earlier assignments been? I have worked at the Australian Institute of Sports and have had the fortune of working under Dutch Coach Jan Versleijen for two years. From there, I moved on to take charge as the Head Coach of Oakleigh Cannons FC at the age of 30 where I was adjudged the ‘Coach of the Year.’ My last assignment was with the A-League Newcastle Jets where I was working as the Assistant Coach as well as the Youth Team Coach. What would be your priority in India? 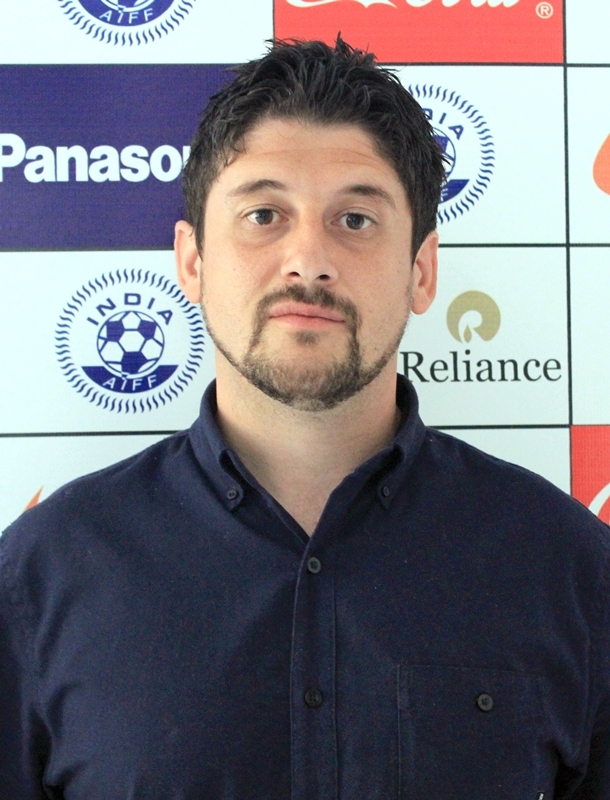 My first priority is to bring my Coaching Philosophy in line with Rob Baan and Scott O’Donell to take Indian football to a higher level. It’s about the development of players by not looking at their size and physical attributes and instead stressing on the technical aspects. It’s important to understand and mould them playing within a system – the 4-3-3 formation which is now widely prevalent in all leading Academies all over the World. Did you have any knowledge about Indian football prior to taking up this assignment? I had gathered some basic knowledge about the I-League as there are some Australian Players who have been playing in it. Also, I have watched Indian teams playing in various AFC Tournaments. You attended a Workshop for Coaches in New Delhi last month. What has your general perception been so far? I feel the structure needs to improve along with the standard of Coaching in the country which will allow the athletes to develop to their full potential. MCI amendments reproduced again in view of recent health ministers remarks.